Photography lets you capture moments in your life. It is often said that one cannot go back in time but pictures open a small door for you to revisit the beautiful moments of your life. Now, photography has enlarged its spectrum way more than anyone can possibly think. Earlier, people use to take pictures for personal collection but professional photography has also been in limelight for so long, especially, for online postings. You could be a hobbyist or a professional, having right equipments and gears will ensure perfect clicks and the ones that can be used professionally. First of all, having appropriate lighting is crucial for quality pictures. But it can be easily fixed since you can always go for outdoor shoots in sunshine, or having structured indoor lighting system. Lighting kits are of humongous use for the photographers. It fashions you with the ability to have more control and convenience. For someone who has photography business, it becomes complex to decode which equipment and gear will be potentially and substantially help in taking quality clicks. Since the investment on these gears is huge, it is also imperative to watch your steps and not put your money into something that will make you regret in future. What are your prime needs and do you really need artificial lighting kit to assist you in your profession? Let us help you. Artificial lighting kit is crucial because you are hailing towards pursuing profession in photography. Later or sooner, you will have to make these major investments. 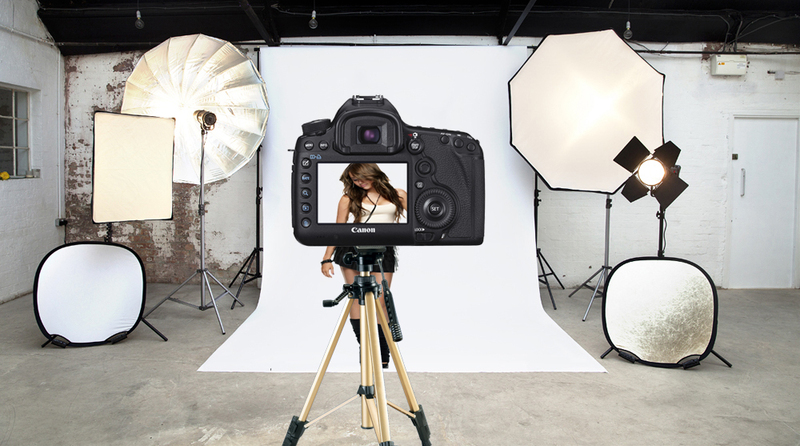 These kits are ideal for candid photography, video making and product photo shoots. These kits make it easy to visualize the kind of light that will appear on the end product before the shooting commences and hence you can deal with the lighting situation and mend it the way you wish. We recommend these kits for the beginners since they have to do so much manual work and this one gives them the needed opportunity. Also, cost wise, these kits are affordable than others that are out there in the market. Not every professional requires them but it certainly depend on your need. Speedlight units are external flash units that are used with the help of umbrellas and soft boxes. These equipments help in dispersing light. Unlike normal flashes, these units are faster. Product shoots, sporting events, and wedding events can be covered with the help of these Speedlight Lighting Kits. These are more versatile kits that include power source, reflectors, and stands. One advantage that must be mentioned in these kits is that you don’t need power generator with these kits to power its units. The head of the lamp also works as a power generator, or in other words, the power generator is placed inside the head of the lamp. It has strobes of 150+ watts and thus shed enough light on the objects that are being photographed.